Hardcover, 8 x 10.5 in. / 80 pgs / 75 color / 25 bw. Edited with text by Axel Heil, Roberto Ohrt. 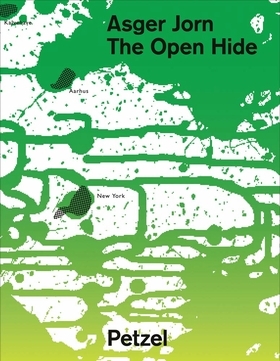 Asger Jorn: The Open Hide offers a concise overview of the diverse accomplishments of Danish artist Asger Jorn (1914–1973). Edited by acclaimed Jorn scholars Axel Heil and Roberto Ohrt, the book comprises over 75 images of Jorn’s work, each with complete provenance, exhibition and literature history. A comprehensive biography of the artist is also included, along with photographs and other archival material. For Jorn, a founding member of the Cobra and Situationist International movements, art was an expression of life, of activism, of an unedited freedom not confined to studio practice. 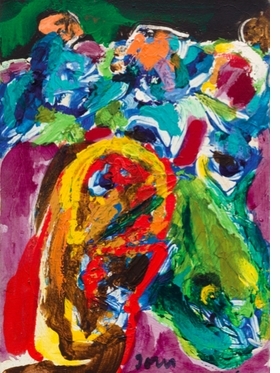 "An Asger Jorn can be garish, florid, tasteless, forced, cute, flatulent, overemphatic; it can never be vulgar," wrote art historian T.J. Clark, who once declared Jorn "the greatest painter of the 1950s." As the Cobra artists undergo widespread critical reassessment, this volume helps to retrieve and contextualize Jorn’s significance. You’ll feel like you’ve tumbled into an alternate twentieth century where postwar painting (among other things) has been hijacked from under the noses of haughty gatekeepers by a bravura jester. Edited by Jacob Wamberg, Michael Juul Holm, Poul Erik Tøjner. Text by Helle Brøns. FORMAT: Hbk, 8 x 10.5 in. / 80 pgs / 75 color / 25 b&w.